Hello and welcome to the second edition of the special Valentine's Day themed series "Couples Counseling" on my blog. Today's session will be with a rather complicated pair, one, that has fought for life or death (literally). There is something undeniable between them, even if recent events have betrayed one more than the other, making this a very complex relationship. Nevertheless, feelings can't simply be snuffed out - the flame is still burning, even if its' light is faint. With that being said, it is a great honour to be discussing Clexa's relationship with you. Please feel free to join this debate and share your thoughts. As always, I'm assuming most of you readers are very up-to-date on what's currently going on in The 100. Season 3 has started of strong with all of our favourite characters back, once again letting us accompany them on their exciting and dangerous journey on the ground. The end events in the Season 2 finale left Clarke devastatingly broken, which made my heart shatter into a million pieces. Unable to face the pain of what she had to do in order to save her people, Clarke is torn between the world of right and wrong, black and white, courageous and monstrous and leaves camp Jaha to embark on a trip, even she doesn't know the destination to. 1.) The betrayal. That was the season 2 theme, building up more pain and the destruction than in the first season. Lexa did betray Clarke, like it or not, even if it was for her people. Who says Clarke wouldn't have done the same thing? Lexa pushed Clarke into a position, Clarke wasn't ready to deal with. How could she justify her actions? Even if she saved her people, she took innocent lives to achieve it. And we all know how Clarke feels about war. Her efforts restored peace (or something close to it). The confrontation in the last episode alone was enough to show us how Clarke feels about the whole situation. She ran from her problems, but like always, they caught up with her. They even outran her. 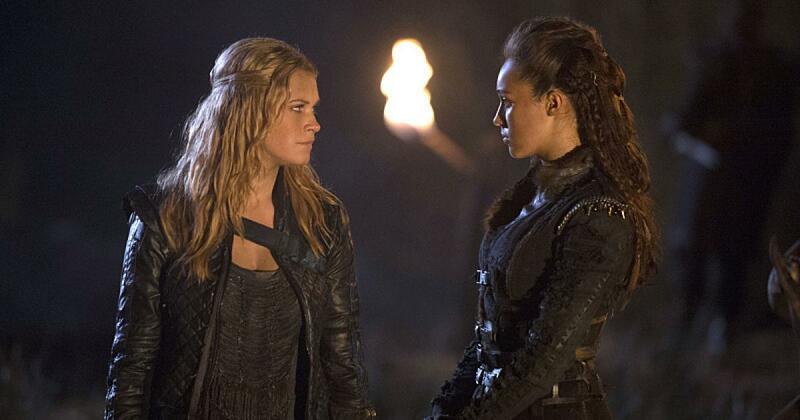 Clarke is the one thing standing between peace and war - that, Lexa, and the Ice Nation. 2.) They are from different worlds. As we got to see in Season 2, both leaders are used to dealing in different ways. The circumstances under wich they grew up are very important in this area. Although they did learn a lot from each other, being introduced into the other's world, both sides faced inner conflicts and most of the time and bigger problems arose. Just take Mount Weather as an example. Or the time both of them fled from the bombing, leaving a great deal of their people dead or injured. The ground changed Clarke. Lexa changed Clarke. 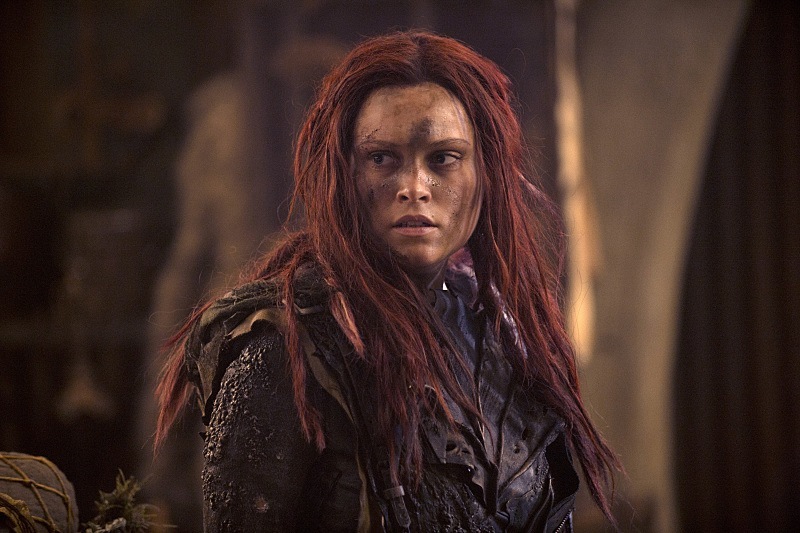 War changed Clarke. 3.) 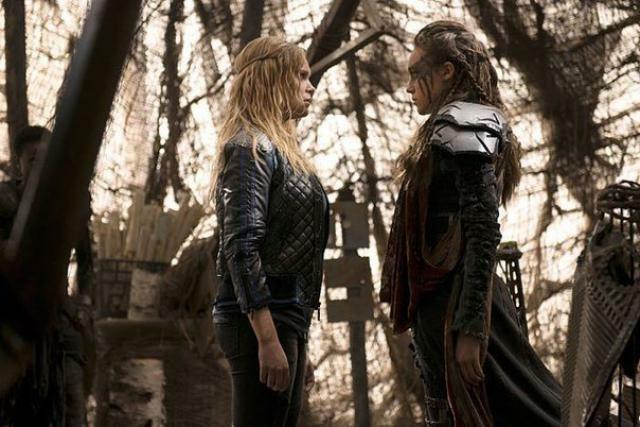 Lexa needs Clarke. She said so herself. War is brewing and everyone can need all the allies they can get. 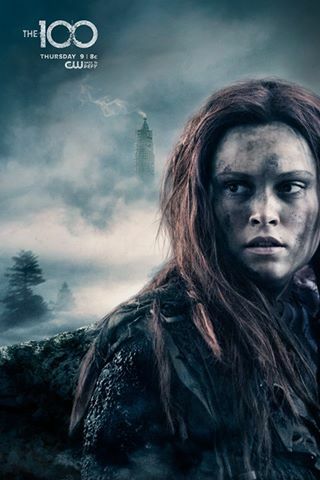 Clarke is known as Wanheda and feared by all grounders. Lexa knows how valuable the illusion of Wanheda's powers is. Although she claims that she captured Clarke for Clarke's own safety from the Ice Queen, I can't help but feel suspicious; Lexa always has an ulterior motive. 4.) Bellamy and Clarke. Ah, I'm guessing that a few of you here are Bellarke shippers. It would be foolish not to bring up the two. They're best friends, partners (in crime), but could there also be more between them? Bellamy does have a girlfriend right now, but that reunion was full of emotion. I'm just going to leave it at that. If they ever do explore the possibility of romance between Bellamy and Clarke, it will certainly be an interesting avenue. I have nothing against it, but I do think it's an area that would have to be explored very slowly and carefully, as so much is to be lost if their relationship doesn't work out. 5.) Clarke and the new girl, Niylah. We also can't simply ignore the fact that Clarke had a very hot one night stand with someone. What if the writers will bring her back into the picture? 6.) Clarke and her people. As much as Clarke deserves a happy life full of love, she has to dabble very carefully when it comes to her future. As we saw in the last episode, a lot of sky people don't treat the grounders with respect, like Clarke does. If she were to engage in a romantic relationship with a grounder, it would sure cause some type of outrage with her people. The same goes for Lexa and her people. Her risk is even greater as the commander of all 12 clans. What's to say that the Ice Nation won't turn Lexa's people against her because of her romantic interest? 7.) There's a lot at stake - obviously. A potential war means no distractions. 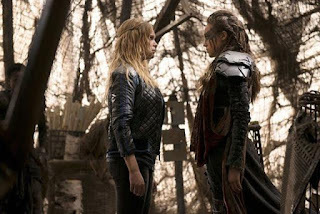 And as much as I hate to be the one to portray love as a weakness, Clarke and Lexa would have a big disadvantage in war, as they already have to worry about their people. If something happens to the one of them, it's an easy way to bring the other to her knees. My final advice as Clexa's couples counsellor for the day: Be very careful. With you two, everything you do reflects on your people and can potentially endanger them. 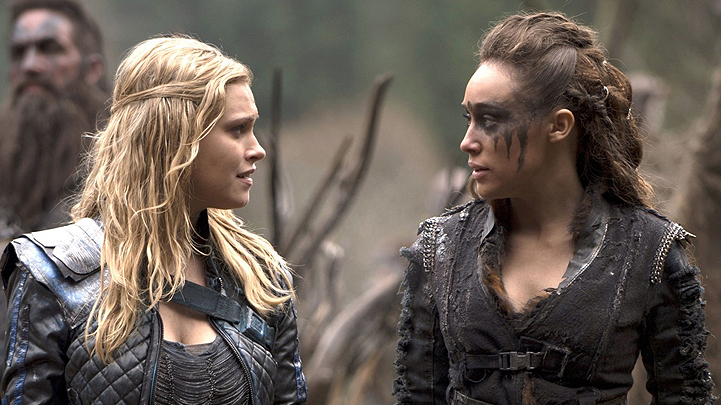 For now, Clarke has to find a way to come to terms with what Lexa did. She has to forgive her and to accept the circumstances under which Lexa did what she did. I can't say if they will ever be able to go back to the way things were, because right now, Clarke will do everything in her power to hurt Lexa. I think we all heard those death threats at the end of Wanheda part 2. And Lexa has to cool down. Seríously. Kidnapping someone you had a relationship-isch thing with is not cool. Even if it was in order to save her. What would you advise Clexa? Can they make it, or has the past destroyed the little chance at a relationship they had? Are the risks to high? Does love conquer all, even danger? Let me know what you think in the comment section below or on Twitter! That sums up my feelings and concerns about Clexa. I hope I was able to give you an overview of their relationship and inspire you to think about your own advice you would give the pair. Thanks for reading the second session of Couples Counseling! Side note (I just can't help myself): I just have to ask all of you - What do guys think about Clarke and Roan? I know they don't know each other very well, but for some reason I am fond of Roan and believe there is a lot under his thick shell. I am actually starting to ship them, believe it or not. Click here to watch the season 3 Clexa reunion and Clarke's scenes with Roan! Wow. It looks like we are going to be hit with a few other bombshells. "I want your people to become my people." 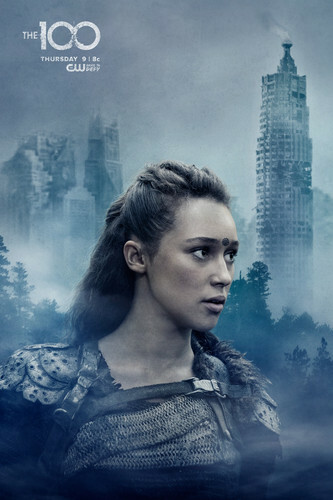 Lexa wants to extend the number of clans under her command by ruling over the sky people too. Roan has some kind of plan. A plan he shares with Clarke. He wants revenge. On who? He wants to kill her. Who? Could he mean Lexa? "I want revenge." "You want to kill her? *nods*"
Click here to read my post "The 100: Bellarke or Clexa?"